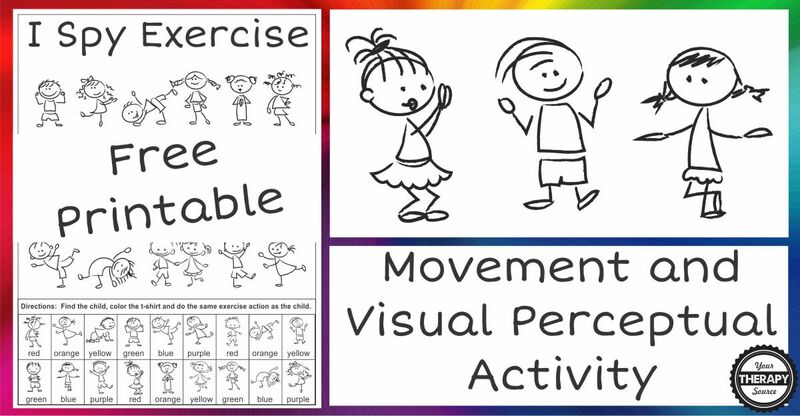 Are you looking for a no-prep visual discrimination, visual motor, body awareness and exercise activity? Here is a one-page black and white I Spy Exercise activity for you (download the freebie at the end of the post). 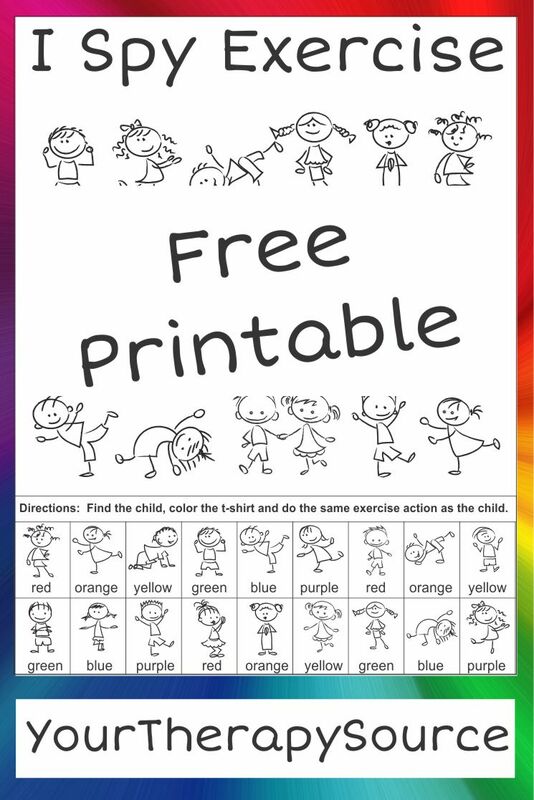 Print the activity and give to the child with crayons, markers or colored pencils including each color of the rainbow (red, orange, yellow, green, blue and purple). Look for each cartoon character pictured at the bottom of the page. Once you find it, color in the t-shirt the correct color and copy the exercise that the character is performing. Not bad for a one-page FREE worksheet!!!! Sign up to receive our email newsletter to download the I Spy Exercise worksheet. If you are already a subscriber, just enter your email and you will be redirected to the download. Don’t forget to check out page 2 of the download for a 30% off coupon code for more products like this activity.